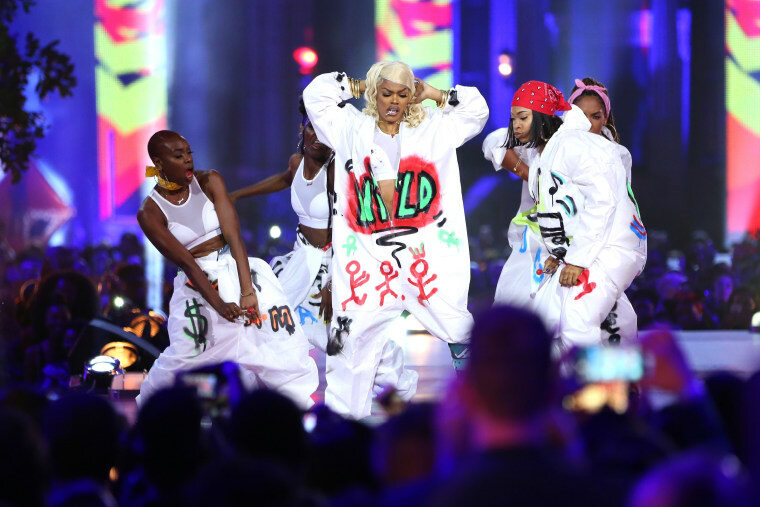 During the VH1 Hip Hop Honors Teyana Taylor proved that nothing can stop her, not even a broken foot. The singer performed onstage with a boot to a medley of '90s classics, from LL Cool J's "Doin' It" to "Poison" by Bell Biv DeVoe. With a lollipop in her mouth, Taylor bounced and maneuvered around the stage without breaking a sweat. Taylor is following up two incredible New York Fashion Week appearances to give us even more life with this tribute. Last year Taylor performed a tribute to Lil Kim, and this year she brought even more '90s magic to the stage wearing an oversized, spray-painted jumpsuit. Watch the full performance below.